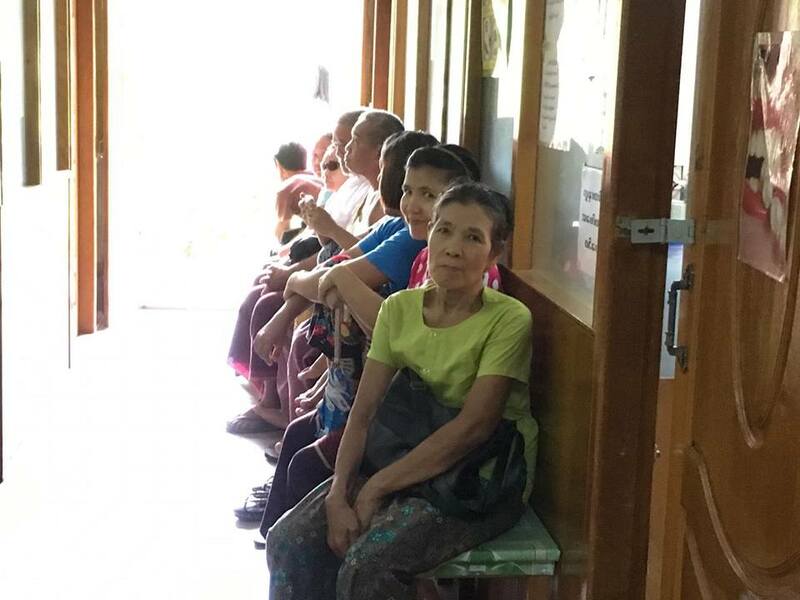 After nine years, I received the opportunity to visit my family in Burma. My husband, Adam, and our kids, Zoe and Zachary, flew to Burma on June 11. The trip was sweet in that I got to see my relatives. I am taking two online summer classes and as a result was kept quite busy. 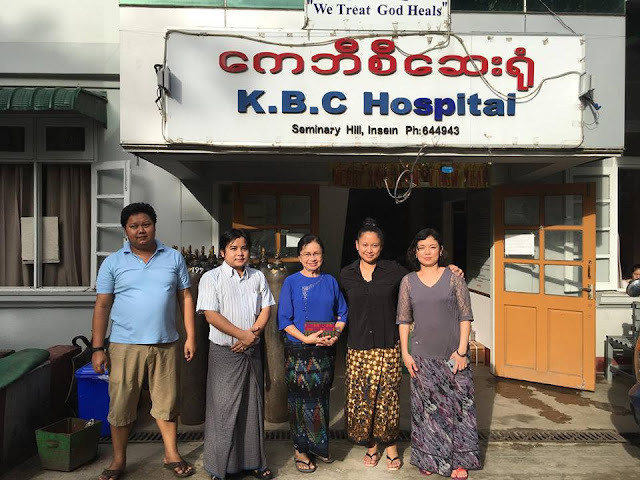 Nevertheless, I was blessed with the opportunity to visit Karen Baptist (KBC) Hospital and Dr. Chit Maung Library a few times. KBC Hospital continues to strive in its healing ministries. The hospital is crowded and operating at greater than the maximum capacity. Patients near and far rely on the hospital for affordable care. Most notably, the new elevator stood tall transporting patients up and down comfortably and most important of all, safely. The hospital repeated to me how thankful they are to the donors. I was blessed with the opportunity to meet the new medical superintendent, Dr. Maureen, who is committed to the continuous improvement of the hospital care. While the commitment is commendable, one can’t help but take notes of a myriad of needs at the hospital. Many specialists complain that the hospital needs to upgrade their equipment or they may stop coming. When the new x-ray machine recently arrived, paid with 20% down payment, the staff sighed with relief. Still, there are other inexhaustible needs, such as a light-emitting diodes (LED) phototherapy for newborns with hyperbilirubinemia, new anesthesia machine for operation, just to name a few. I would also like to share with you about the Dr. Chit Maung Library. I observed English classes taught by three dedicated and qualified teachers and was extremely impressed. In particular, I was impressed with the commitment of the parents who invest in their children, time and money. Some travel from a far distance to come to the library. 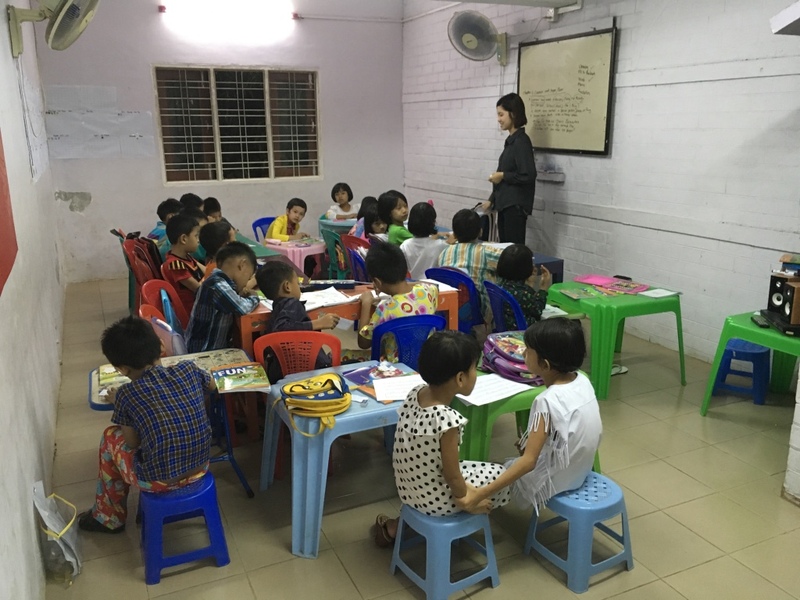 Dr. Chit Maung Library is evolving toward more of a learning center, as the community requests more affordable education opportunities. 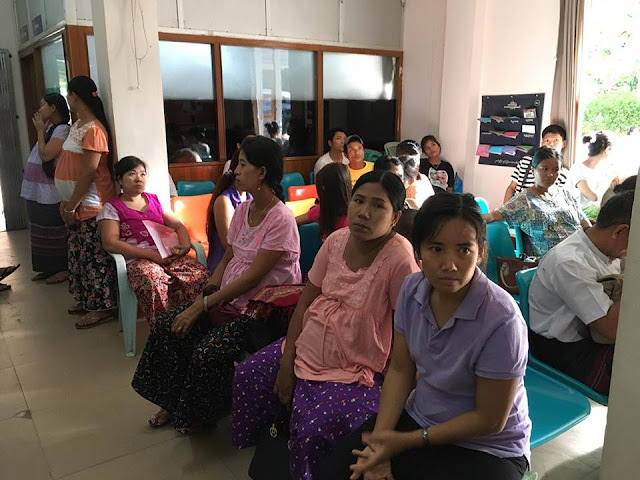 As students and their parents demand higher education more than ever before, Dr. Chit Maung Library and its very qualified staff are meeting the learning needs of the community. At this time, the library is considering expanding more classes conducive to the new, vibrant atmosphere ripe for transformation in the country. We thank all supporters of the ministries of Friends of Burma. You make a difference, a big, big difference. God bless.